The Perfect Day Bouquet is a charming way to celebrate any of life's most treasured moments. View our video! Click here. Visit our new location at 86 Liberty Street in Quincy, MA! 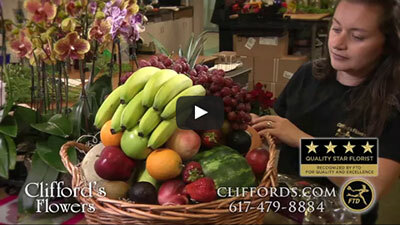 Florist Boston MA Florist Quincy MA Clifford’s Flowers Cliffords.com. Top local florist in Boston MA. Discount flowers. Send flowers Quincy MA Funeral flowers Quincy MA, Funeral Flowers Boston MA.